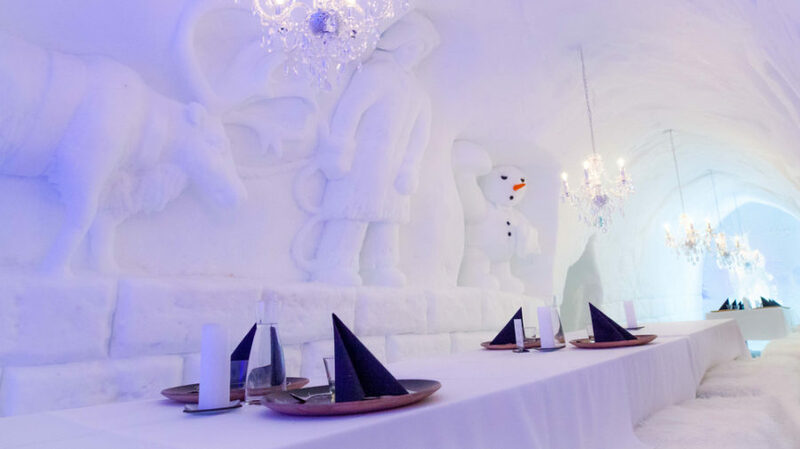 The world’s only ice restaurant located exactly on the Arctic Circle, Santa Claus’ home turf. 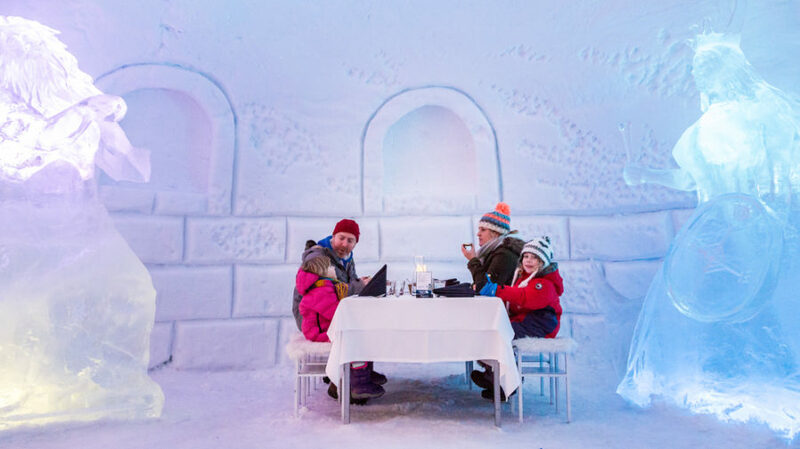 The Ice Restaurant’s unique atmosphere is a ”must see” for everyone visiting Rovaniemi. 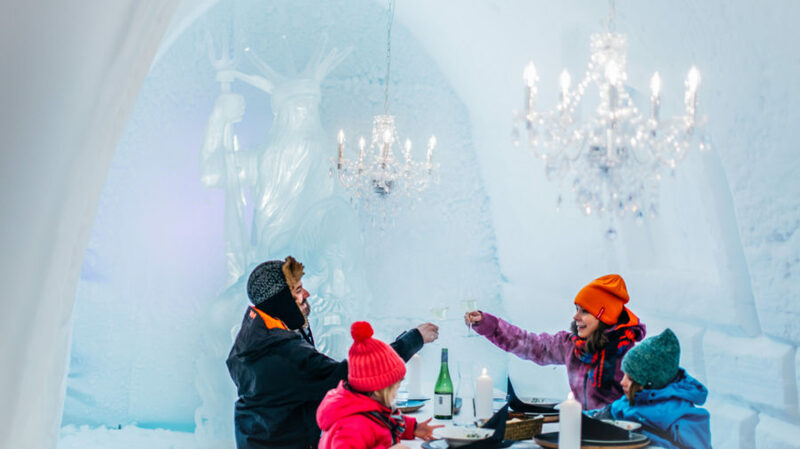 Incredibly beautiful ice sculptures, exciting details and a menu created from local ingredients will all add to an unforgettable experience. The delicious set menu includes an appetizer, main course and dessert. 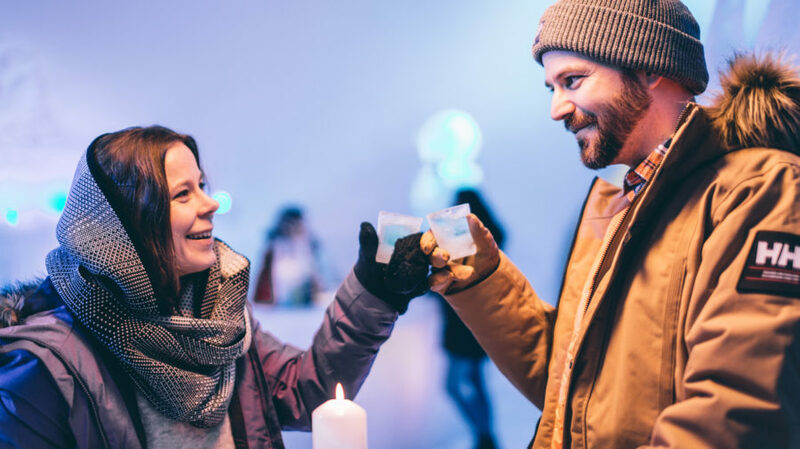 Welcome drink is served in the Ice Bar before dinner. 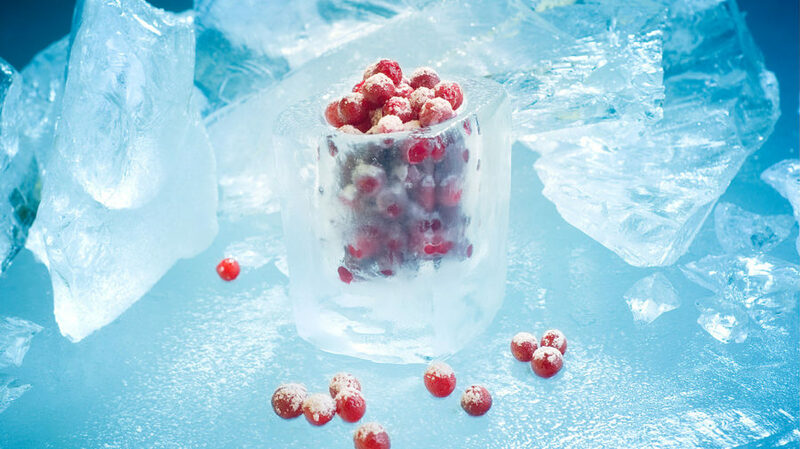 Ice restaurant dinners are available on 16th of December, 2018 onwards. All reservations must be made in advance. You can make a booking by contacting us directly. Price information	Prices are valid for winter season 2018-2019.